A portrait and wedding photography blog with an educational twist! There is a crack in everything. That's how the light gets in. Living in Rhode Island and a bit obsessive about photography!!! Posted on May 2, 2012, in landscape photography, nature, still life, things are looking up and tagged Abstract, close up photography, crack, leonard cohen, Nature photo, perspective. Bookmark the permalink. 3 Comments. Cracks be damned! Let your light shine my boy, let it shine. 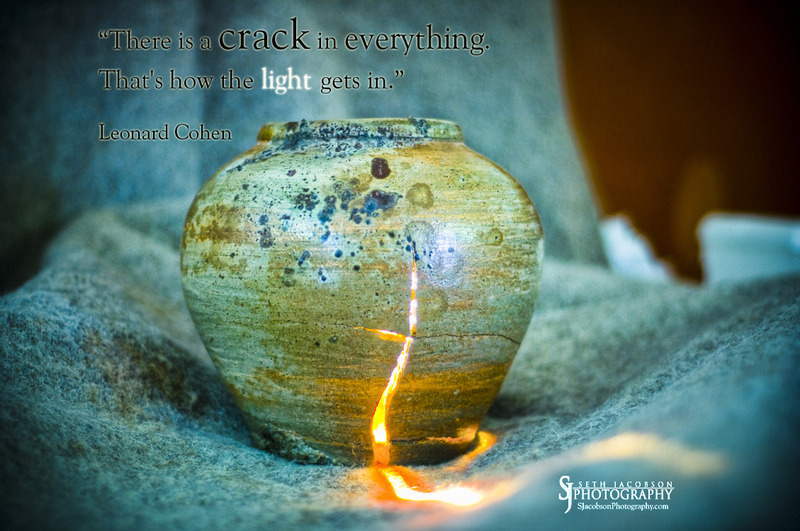 The bigger the crack the brighter the light.